We are heading into a jam-packed weekend that includes a double graduation party on Saturday night. The Hubs' best friend's two daughters are celebrating graduating from college and graduating from veterinarian school, respectively. Major accomplishments that are worthy of a few cheers! On Sunday morning I'm meeting a friend for coffee to catch up. In between that, here's what else I'll be up to and a few suggestions for what you should do! The HBO film The Tale came out last night, and although I was on the fence about whether to watch it (there are scenes that are haunting and difficult to watch), I'm glad I did. The film is a semi-autobiographical retelling of the director, Jennifer Fox's, experiences recalling and re-evaluating the "relationship" she had with a man when she was 13-years-old. Laura Dern plays the part of Fox, and she is absolutely wonderful in this role. As a warning, this movie focuses on sexual abuse and some subject matter may not be appropriate for all audiences. However, if you are up for it, it's worth the watch. Ever since becoming completely obsessed with Refinery29's Money Diaries, I've had a renewed interest in personal finance. 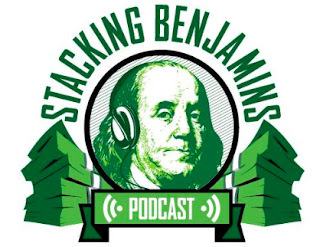 Whether you're trying to save more, spend less, or save for a specific reason or activity, the podcast Stacking Benjamins is worth checking out. Not all episodes will interest everyone, but many of them do focus on very specific topics as they relate to personal finance. I love the wide variety of content (from how to pay off debt to the hows/whys of real estate investments to the truth about stocks). I love when I discover (or someone tells me about - as is the case with this one) a hidden gem. A few weeks ago while chatting with a new friend, we exchanged our Instagram handles. Of course, we both immediately followed each other and then proceeded to troll each other's accounts. 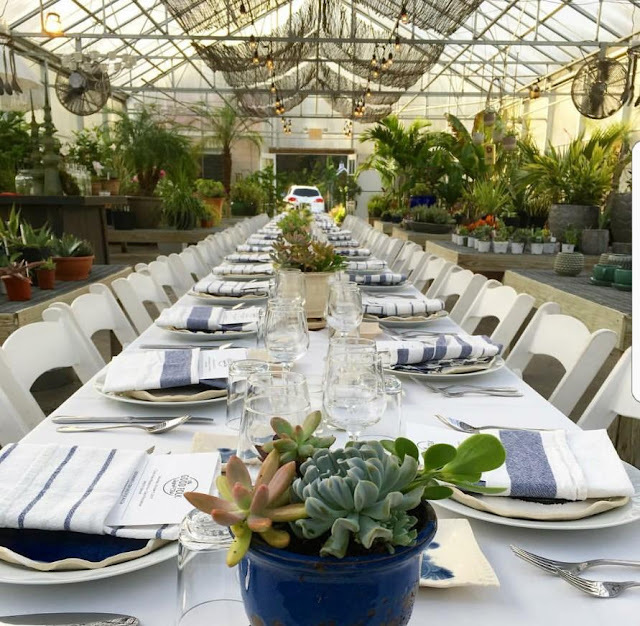 I came across a picture about yoga in a greenhouse. I was intrigued and had to inquire. As it turned out, she teaches yoga on the weekends at Bear Creek Herbary in Howell, NJ. And...the best part is the yoga sessions take place in one of the greenhouses on site. Ahhhhhh...sounds like an oasis, if you ask me. They offer four classes each week (Wednesday and Thursday evenings at 6 pm and Saturday and Sunday mornings at 9:30. Walk-ins are welcome, and the fee is $16 per person. Afterwards stroll the grounds, the greenhouses, grab a bit in the cafe, and check out the shop. For more information, click here. Welcome to rosé season! Actually, in my book, every season is rosé season. 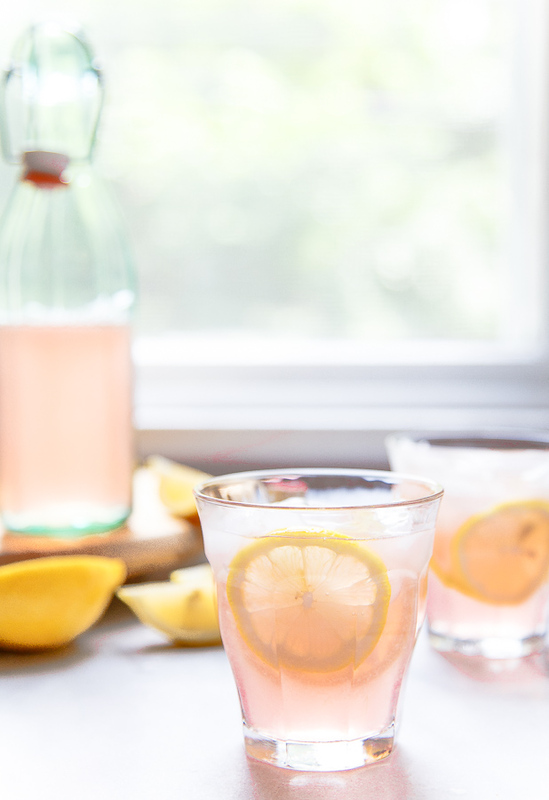 🙌 What do you get when you combine two of summer's quintessential beverages (we're talking about rosé and lemonade in case you didn't guess it)? You get a delicious, tasty, refreshing cocktail that you won't want to put down. Just place the pitcher next me, m'kay? I dare you to drink just one glass of this rosé lemonade. Since we're on a roll with summer recipes, why stop now? Let's talk s'mores. If you've got a fire going, you've got to have s'mores. 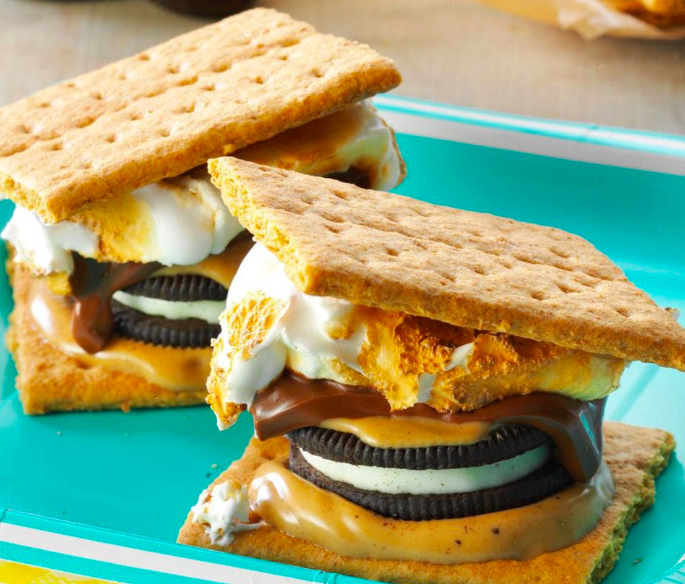 But these s'mores aren't your everyday s'mores. Oh no. We are kicking it up a notch (more like 10, but who's counting?). OMG. These s'mOreos are EVERYTHING and then some. You can't not make these this weekend!